Keeping businesses productive while on the move. channelcentral is pleased to announce its Smartphone App Service. This exciting new product has been developed primarily for HP Partners that already use the popular channelcentral HP iQuote tool. The Smartphone App Service offers the ability to quote validated, priced configurations for HP Solutions from any smart device without the need to open up a browser. The application works in both connected and standalone environments. Designed to increase both time-to-quote responsiveness, and increase revenues offering you and your customers the opportunity to provide qualified HP Configurations, with pricing and availability on the move. All HP BTO Supply-chain Business Units are included in the application. Quotes are saved locally and can be reloaded for editing. The Smartphone App is Cloud-ready: Simply associate the App with other applications such as HP iQuote and store your quotes in your account. Those quotes can then be opened and edited in HP iQuote via your desktop browser. The Smartphone App will help you find the best system for your needs. Once loaded it will provide a fully functional solution using pre-loaded defaults allowing customisation to cater for many common configurations. By using default settings it accelerates the process of delivering a quote, and exploits your smart phones intuitive interface to reach your goals with the fewest clicks and swipes. The App is specifically designed to simplify the process of selling HP products and maximise revenue and margin on every sale by guiding you through an intuitive process of building a quote. It’s easy to share your quotes with your contacts and customers by email or you can send to HP iQuote with the integrated HP iQuote upload function. Our fully managed service means that you don’t have to deal with the complexity of developing, hosting and offering Apps, including the detailed, varied and specific requirements of the App store owner. Smartphone App Services consists of a one-time-only set-up fee for creation, customisation, and completion of the App for your organisation, including making the App available in the three App stores. This is supplemented by a quarterly subscription which provides for product lifecycle, stock pricing data, and maintenance services. Smartphone App Services is customised to your own language, company branding (Logo and company colour scheme throughout), and uploaded by channelcentral into the three App Stores on your behalf. Distributors and Resellers can receive an on-going revenue from the Application should you choose to charge your customers download fees. How can you get the Smartphone App? The Smartphone App is developed and brought to you by channelcentral. 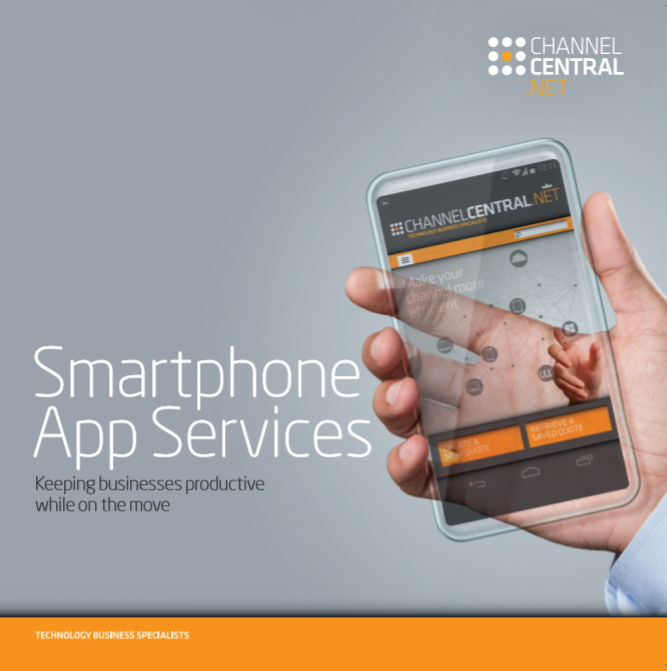 If you are a Distributor or Reseller and would like to create your own Smartphone App contact sales@channelcentral.net for further information or for a free, no obligation discussion about how channelcentral can help you sell more HP solutions. Download our Smartphone App Brochure for more information.